Traditional One Sided Gas Fireplaces. These and ALL gas fireplaces have the flexibility to be installed into almost any room in the home. Due to the ability to put 30, 45 and 90 degree angles on the venting systems or, to just go straight outside makes for greater versatility of installation. This makes them a GREAT option for any addition to new or existing rooms or homes not to mention minimum heat and air lose to your home. Give us a call at 281-316-9077 and let us help you with your fireplace selection and installation. Wether it's a Wood-burning or Gas Fireplace we will help you get it done right the first time! 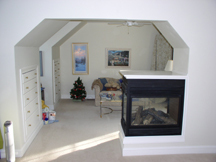 You have the options with gas fireplaces to go from 1 to 3 sided viewing areas. The above gas fireplace vents from the side straight outside giving you a three sided interior view of the fire and the flexibility to install it almost anywhere. Just like Wood-burning See Thru fireplaces, Gas fireplaces also come in "See Thru" and are great performers. With today's new homes being more air tight this can have an adverse affect on a fireplaces performance. 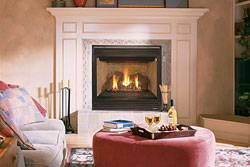 You can eliminate these issues with the installation of a gas fireplace. 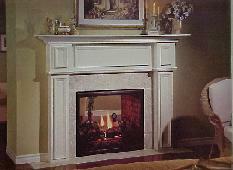 At Chim-Chimneys we understand the dynamics of home fireplace venting and performance. 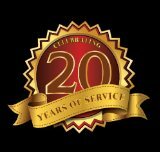 Give us a call at 281-316-9077 or come by the store and let us discuss with you the right choice for your home. Outdoor Kitchen Builder Houston, First Choice in Building and Design!